Last Tuesday we found ourselves attending a reception for The Gladstone Library in Hawarden, Wales., which was held at The Century Association. Invited by our friend Scott, who is the president of the U.S. Friends of the Gladstone Library, Stanley had thought he had a prior engagement, but found he had confused dates in his calendar, so we were suddenly available. 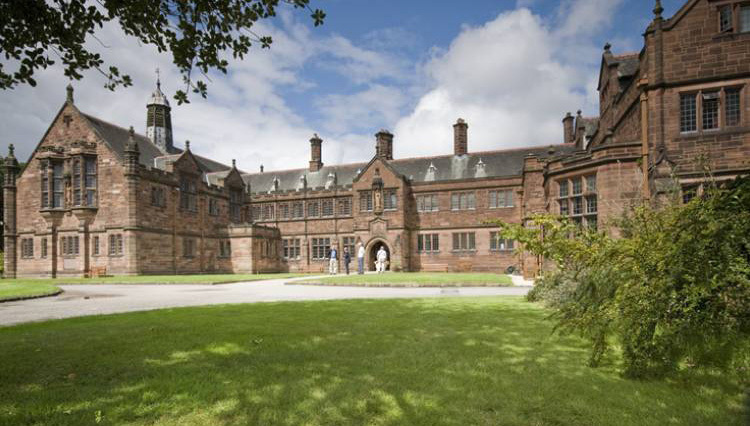 Created by the eminent British Prime Minister toward the end of his life, the Gladstone Library is both a library and residential “hotel” for twenty-four residential scholars and occupies a splendid Victorian gothic building not far from Gladstone’s home at Hawarden Castle. We’ve gotten as close as Chester, which is just across the Welsh border. It is the only prime-ministerial library, and was the model for Presidential libraries in the U.S.
Vartan Gregorian, the former president of the New York Public Library, arrived and was recognized for having recently secured a sizeable grant from the Carnegie Foundation to allow the library to begin digitizing its collection. He brought with him the newly-elected President of Armenia, Armen Sarkisian, whose presence served to affirm how deeply William Gladstone is venerated by Armenians. The Rev. Peter Francis, Warden of the library, spoke about the modest fund raising effort the library is launching to meet current expansion needs prompted, in part, by the fact that they currently have only one ladies loo. Among others present, we found ourselves chatting with Hugh Hildesley of Sotheby’s. At the end of the presentations, Hugh moved to the center of the room and surprised the entire gathering with a most spontaneous and generous fund-raising proposal, the details of which it would not be prudent to make public, but if realized will certainly bring relief to the ladies in the long line for the loo. A very splendid evening, and a great inspiration to make a visit to the library on our next trip to the U.K.